Reta Leona Little - age 98, of South Waterville, passed away on Tuesday, April 2, 2019, at home. Born in North Alton, she was a daughter of the late Ervin and Gladys (Durling) Aalders. 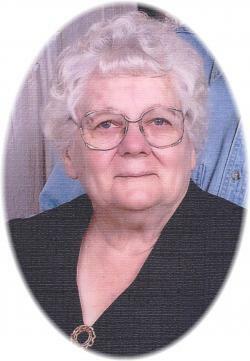 Reta was a hard worker and dedicated her life to her family and the farm. She is survived by daughter, Faye, South Waterville; son, Howard (Deanna), Waterville; two sisters, Joyce Strong, South Waterville and Glennie Mitchell, North Alton, brother, Ralph (Linda), Cambridge; three grandsons, Chris (Tracey), Brad (Crystal) and David; three great-grandchildren, Alyssa, James and Haley; nieces and nephews. She was predeceased by her husband, Eldon, three sisters, Edith Jean, Dorothy French and June Webster, three brothers, Clark, George and Garnet. Cremation has taken place. There will be no visitation, by request. A private graveside service will be held at a later date in the Cambridge Cemetery. The family would like to express their thanks and appreciation to Dr. Bustin and the staff of Berwick Family Practice for their care, kindness and advice over the years. Donations in memory may be made to the Valley Hospice Foundation. Funeral arrangements have been entrusted to the White Family Funeral Home and Cremation Services, Kentville. There will be no visitation, by request.